Tim rapped on the door until an old woman appeared at a window. Time said something, and both of them glanced toward a short bushy shrub planted in the front garden. Pedro laughed. Tim handed the woman some money and then clipped a few branches from the plant. “What did you pay?” Pedro asked as Tim tossed the specimens onto my lap. “What are you talking about, Pedro?” I asked. Tim explained that three species of hollies yield caffeine. The best known is yerba maté, Ilex paraguariensis, the national drink of Argentina. A second is the powerful emetic known in the Carolinas as yaupon, or the Black Drink, Ilex vomitoria, the only caffeine plant native to North America. The third and by far more mysterious is Ilex guayusa. A tall tree native to the eastern montaña of Ecuador and Peru, yet sporadic in distribution, it has been collected only rarely. According to Tim it had never been found in flower. Of the antiquity of its use as a tonic and stimulant there was no doubt. Schultes had analyzed a 1,500-year-old bundle of guayusa leaves found in a medicine man’s tomb high in the Bolivian Andes, far beyond the natural range of the plant. In the lowlands of Ecuador, Jivaro warriors traditionally used infusions of guayusa to purify themselves and their families before shrinking the heads of their slain enemies. To this day they employ guayusa as a ritual mouthwash before making curare or taking yagé. When the Jesuits first contacted the tribe, they declared guayusa the “quintessence of evil.” Half a century later they were growing it in plantations, having persuaded all of Europe that it was a proven cure for venereal disease, which it was not. Following the expulsion of the Jesuits in 1766, the forests reclaimed the plantations and commercial production of the leaves ceased. Trade continued, but on a much smaller scale. Recently, my favourite beverage to drink in the morning before breakfast is an infusion of leaves of the South American plant guayusa. I first discovered guayusa two years ago at the Victoria Tea Festival. I immediately liked its sweet and grassy flavour, reminiscent of yerba maté, with which it shares a genus, but much more subtle in taste. It wasn’t until later, when I started researching the traditional uses of the plant, that I realized I had heard of it before, reading One River by Wade Davis (see the excerpt above). Melvin Shelmuck, writing for the Harvard University Museum, tell us that: “In 1901, Theodor Loesener described a new species of holly from sterile material collected in 1898 by Warsczewìc in eastern Peru. Loesener named the holly Ilex guayusa, because the Indians of eastern Colombia, Ecuador, and Peru used its leaves to prepare a medicinal and beverage tea called guayusa (or huayusa)” (Shelmuck 1979: 155). The guayusa tree can reach a height of 23 meters and its leaves are much larger than those of yerba maté (Shelmuck 1979: 158). It used medicinally, ritually and socially in many tribes in Ecuador, Colombia and Peru. “My guide and informant, Sr. Rafael Santi, told me that guayusa tea is used before and after drinking the hallucinogen called ayahuasca (Banìsferiopsìs Caapi). Drinking the tea kills the bitter taste of the ayahuasca, and its use afterwards prevents hangovers. In addition, it gives a person strength to cope with the powerful hallucinogen. Guayusa is also used by local people as a coffee substitute and for stomach trouble, and it is reputedly an aphrodisiac. In Puyo, numerous grocery stores sell “leis” of folded and strung leaves for local consumption” (Shelmuck 1979: 157). “From the observation of the anthropologist Rafael Karsten, among the Jívaro and Canelo Indians of Ecuador, the reader becomes convinced that guayusa is also a “magic” plant. Although the beverage is drunk by adults of both sexes, and frequently by the children, and is even given to the hunting dogs before a hunting expedition, the preparation of the decoction is exclusively the privilege of the males. Men and women drink it during the final feast of victory and preparation of the trophy heads. The same rule is observed during the feast for women. Every morning the men boil leaves to prepare a mouth wash and emetic for use by all members of the family. For some time after the women have planted cassava and the men plantain or mullein (fish poison plants), respectively considered as female and male plants, they abstain from drinking guayusa for fear that the plants may not grow. In other words, abstention from droning the beverage is equivalent to a fast to assure a good harvest. It seems that the Jívaro Indians attribute to guayusa several effects: first, the emetic, a purifier in accordance with the belief, noted by Spruce, that it is harmful for the remains of a meal from the preceding day to remain in the stomach; second, some narcotic or hypnotic effect, for inducing pequeños sueños (“little dreams”), and for knowing in advance whether a hunting expedition will be successful. Even to see in a drier the guayusa boiling rapidly is taken as a good omen. Moreover, stimulant or tonic, diaphoretic and diuretic properties have been indicated (…) The various effects produced by the guayusa may be in relation to the concentration of the decoction: a light decoction acting a a stimulant, while a strong concentration may act as a vomitive” (Patiño 1968: 312-313). In 1979, Melvin Shelmuck writes that “Although the plant is well known to local people, few botanists have collected it, and it is poorly represented in the herbaria. The great English plant­ explorer, Richard Spruce, did not collect guayusa, although he was well acquainted with it and even employed it as a substitute for tea when his supply of the latter ran out” (155). Times are changing, however, as guayusa is now available from many specialty tea stores. I recently discovered, for example that my favourite tea store, David’s Tea, has started to sell guayusa, which means I don’t have to order it online anymore. I am grateful for the availability of guayusa, but at the same time, I can’t help but wonder what is lost through this effect of globalization. I recognize that culture is dynamic, and objects are constantly acquiring new meanings, or having their meaning modified according to their changing contexts. It is nonetheless important, or at least worthwhile, to acknowledge the meaning and usage of a plant such as guayusa in the cultural context where it is traditionally found and used. 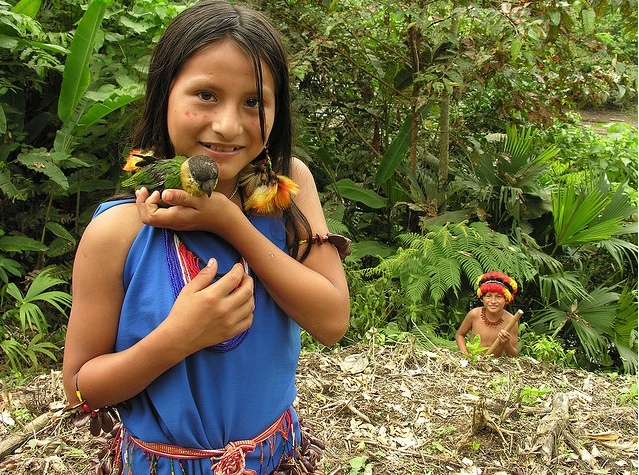 1996 One river: Explorations and Discoveries in the Amazon Rain Forest. New York: Simon & Schuster. 1979 The Flowers of Ilex Guayusa. Botanical Museum Leaflets (Harvard University) 27(5-6): 155-160. 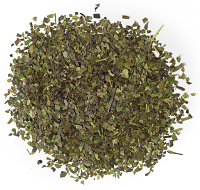 1968 Guayusa, a Neglected Stimulant from the Eastern Andean Foothills. Economic Botany 22(4): 310-316. Ecuador’s “Superleaf” Tea: Could It Replace Your Afternoon Coffee?